The fully-approved Jesuit Bend Mitigation Bank is an RS-owned, 338-acre former marsh and cypress-tupelo swamp that converted to open water over the last century and was restored to marsh in fall and winter of 2015-16. 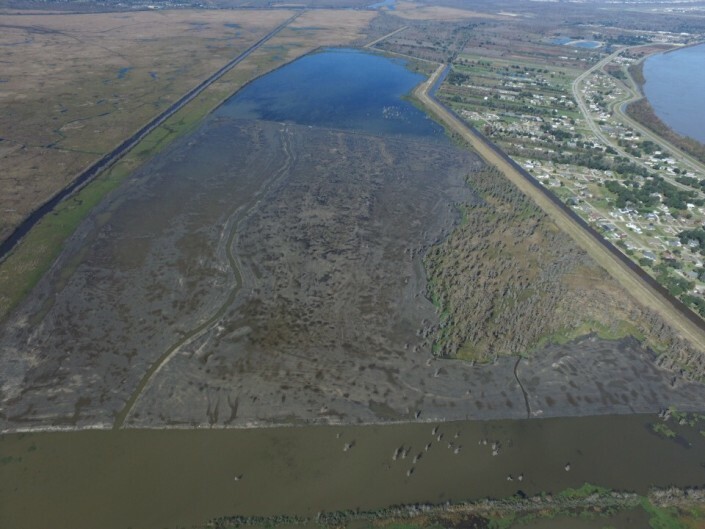 Restoration Systems and our financial partner and dredging contractor, Great Lakes Dredge and Dock, have implemented a Phase One project restoring 247.4 acres from open water to fresh-to-intermediate marsh through re-establishment, enhancement, and rehabilitation of the degraded site. 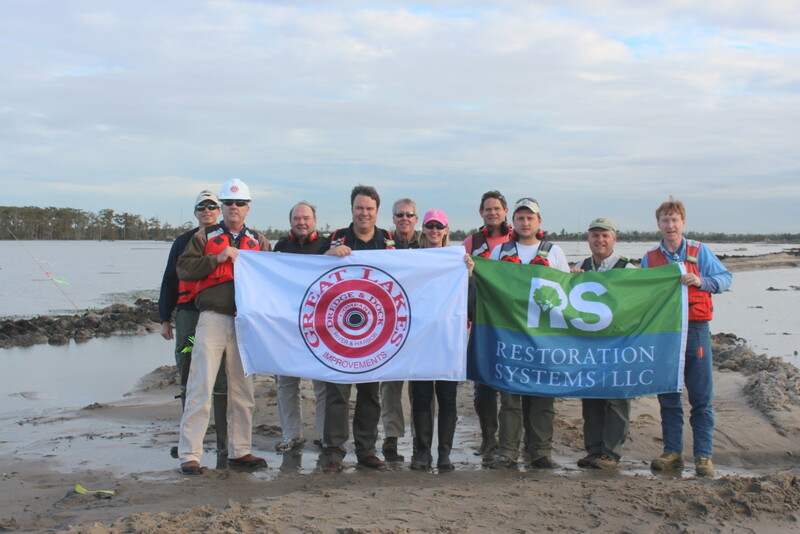 The Plaquemines Parish bank is listed on the Regional Internet Bank Tracking System (RIBITS) and provides mitigation credits for marsh impacts across the entire Deltaic Plain of Coastal Louisiana. 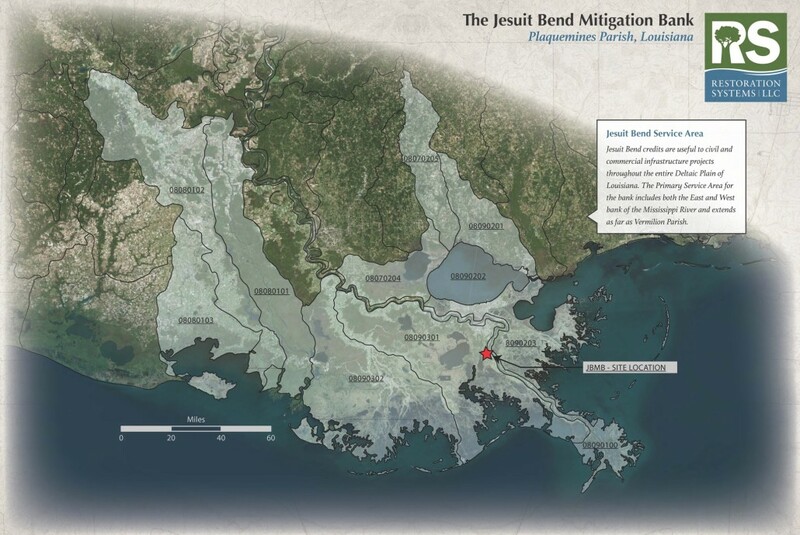 In order to restore the open water to marsh the mitigation bank utilized sediments from the Mississippi River, just as called for in the 2012 Louisiana Coastal Master Plan, and as nature was once did before the river was tamed by levees. 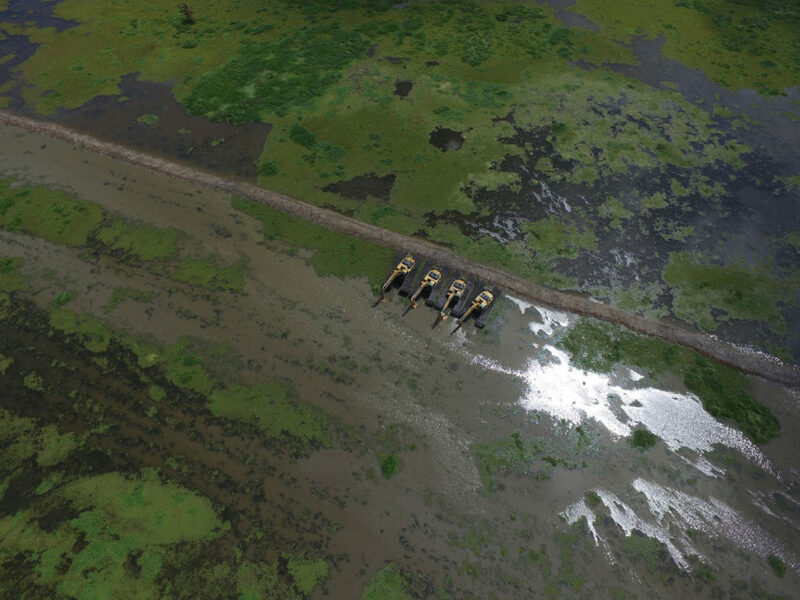 1.32 million cubic yards of material was dredged from 90 feet below the river and pumped nearly five miles to the open water project footprint. 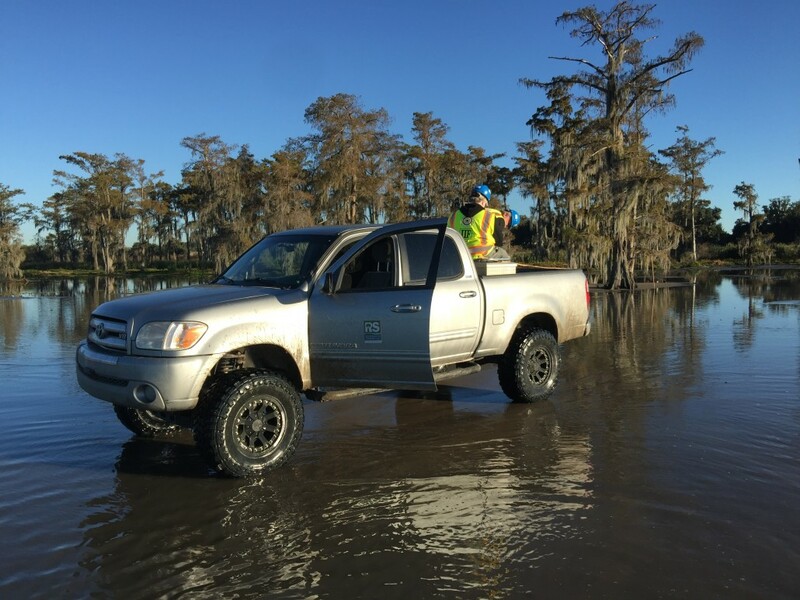 After exiting the dredge pipe the rich river sediments were manipulated by heavy equipment to achieve the precise elevations required by regulatory agencies to ensure project success. If the dredged river sand were stacked on a football field — it would be taller than the Washington Monument. But the result will be much more flat. Planted with 211,000 plugs of marsh grass, the verdant new land is over seven city blocks. 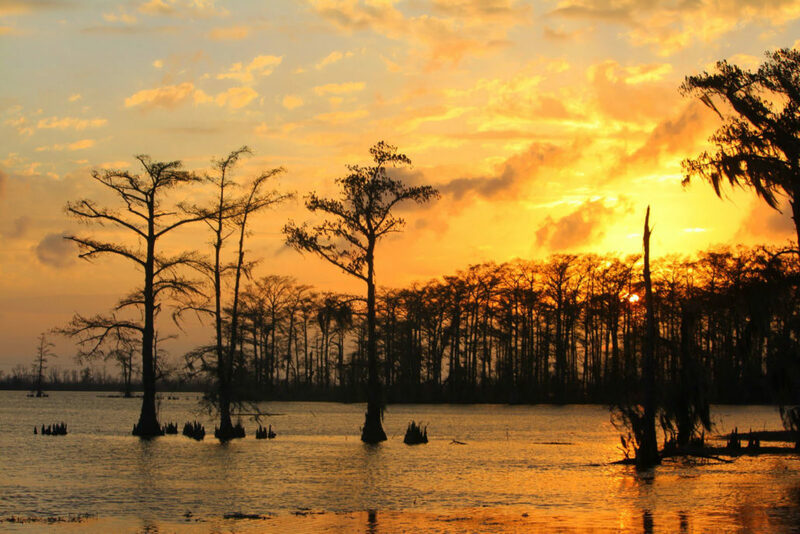 The habitat restoration credit will be monitored over a 7 year period, under Long Term management for 50 years, and protected forever by a Conservation Servitude held by the Mississippi River Trust. Contact Tiffani Bylow for credit reservations and purchase. 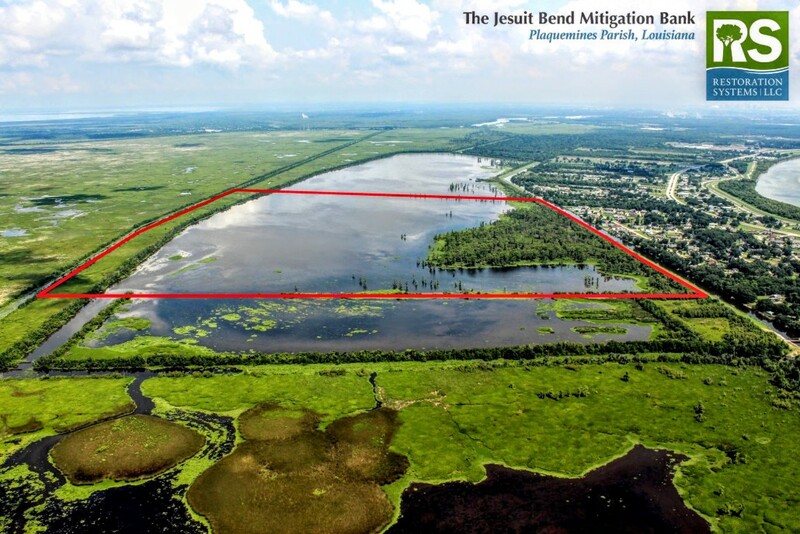 The Jesuit Bend project provides greater “Ecosystem Services” to local communities than any other restoration opportunity Restoration Systems has encountered. The open water areas we are restoring to marsh are at the “toe” of a 11 foot high protective flood levee. 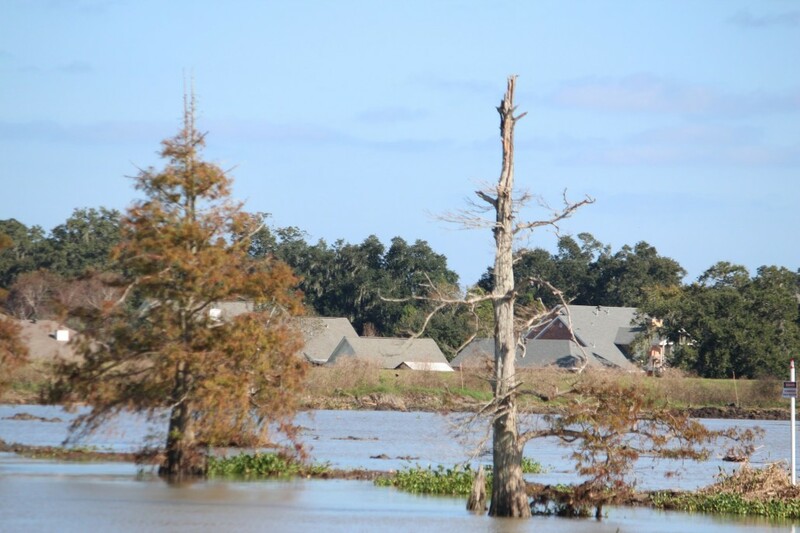 Directly on the other side of the levee — below sea level — are homes. 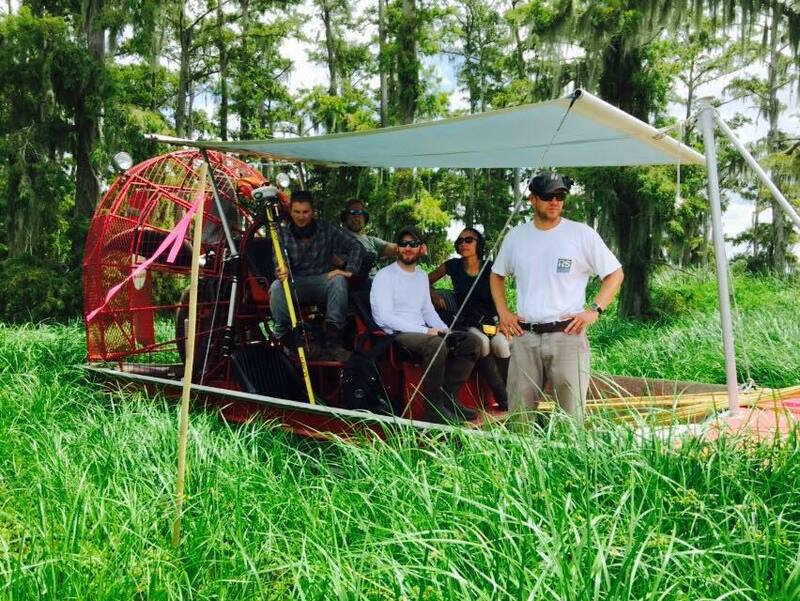 By restoring marsh on the “flood side” of the levee, we are providing the natural wave attenuation the levees were originally designed for. 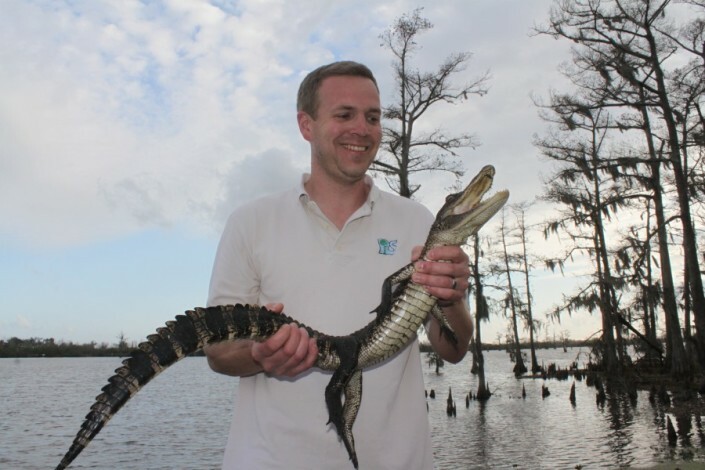 Our restored wetlands are “speed bumps” for waves when the next Katrina hits. Marsh & Wetland restoration – reversing the cause of the site’s long-term degradation to restore wetlands functions. 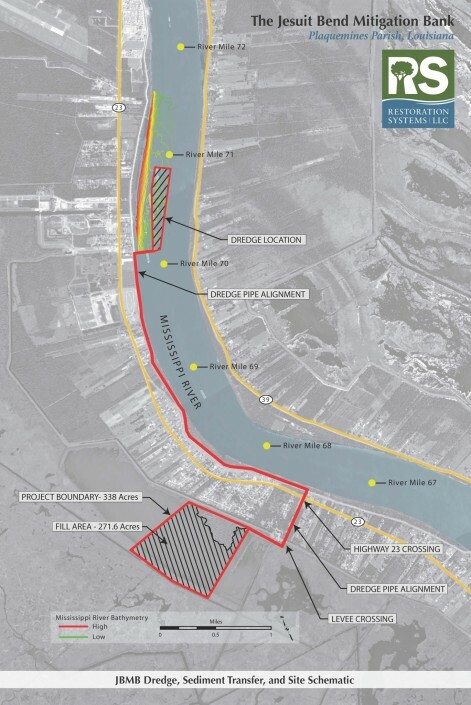 Physical – greater flood protection/ storage and extension of the Barataria land bridge by introducing new sediment. Biotec – restoration and substantial enhancement of marsh/ swamp habitat and fishery functions (red drum, white and brown shrimp, gulf menhaden, Atlantic croaker and blue crab). Also of avian and wetland mammal species’ habitats. 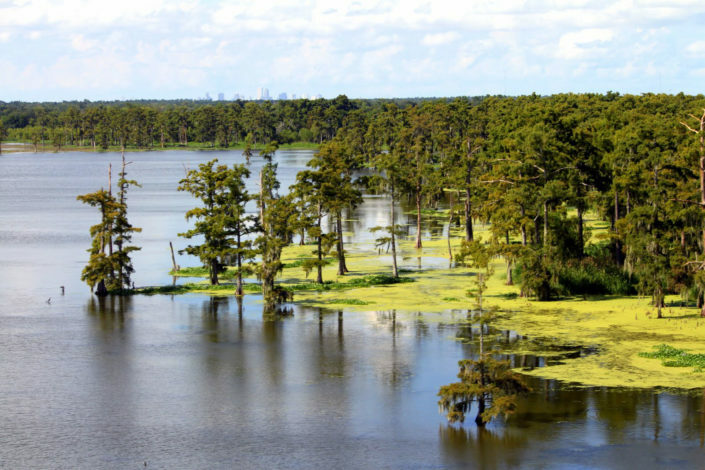 Biogeochemistry – restore biogeochemical processes through rebuilding marsh/ swamp habitats that increase levels of plant and invertebrate detritus. Soils – rebuild an organic soil profile through reintroducing organic material to the system via restoration of site topography and vegetation. Hydrologic – restore hydrologic processes by ensuring a connection to offsite waters through restored site topography and incorporation of the fishery channel. Social – protect local Plaquemines residents from storms and waves through careful planting of the right vegetation to form a natural barrier at the toe of the parish levee.